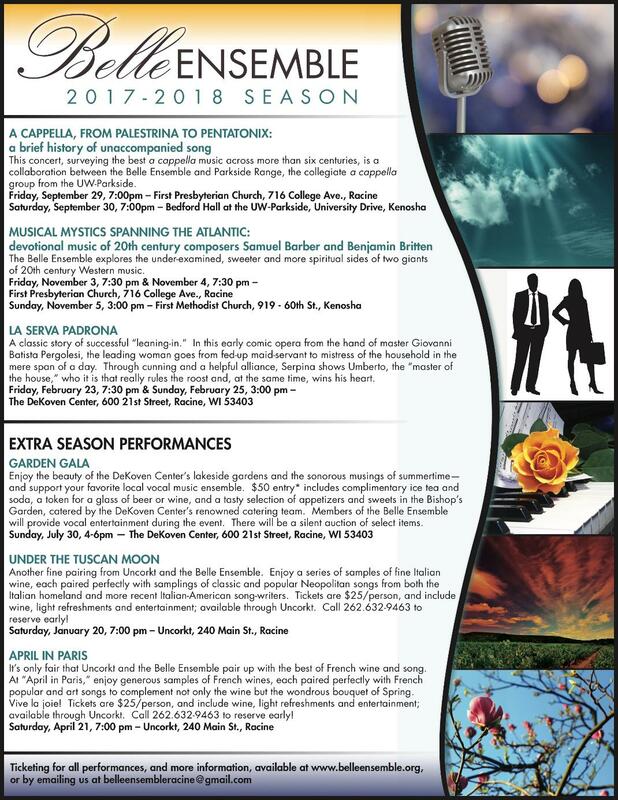 The Belle Ensemble is honored to be featured in this year's Milwaukee Fringe Festival. Now in its third year, the Festival showcases the diversity of Milwaukee's arts culture. We will be presenting an encore performance of Pergolesi's La Serva Padrona at 7:30pm on August 25, 2018 at Vogel Hall. Tickets are not yet available; we will be sure to get ticketing information to you as soon as we can. 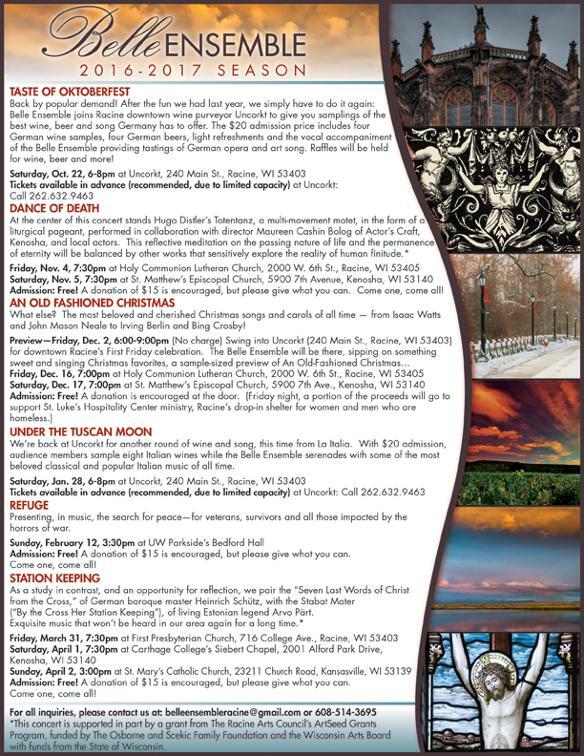 If you missed La Serva the first time we performed it - or if you loved it so much you can't wait to see it again - please plan on joining us next month! In the meantime, you can find and share the event on Facebook. Belle Ensemble is proud to revive our production of La Serva Padrona this summer at the Milwaukee Fringe Fest. La Serva Padrona is the wonderfully comic story of Serpina, the maid-turned-mistress, on her mission to marry (and rule!) her master, Uberto. This baroque masterpiece, one of the few by Giovanni Battista Pergolesi, is set with enduring playfulness and flare. It is performed in Italian with English supertitles at Vogel Hall, 7:30pm, Saturday, August 25.